Tres chic! I love this cute little baby! I love your creations…Great job with the card and I commend you on the paper tearing…I too have a real tough time with this…I think that it’s much too pretty to tear up. This card is ADORABLE!!!! 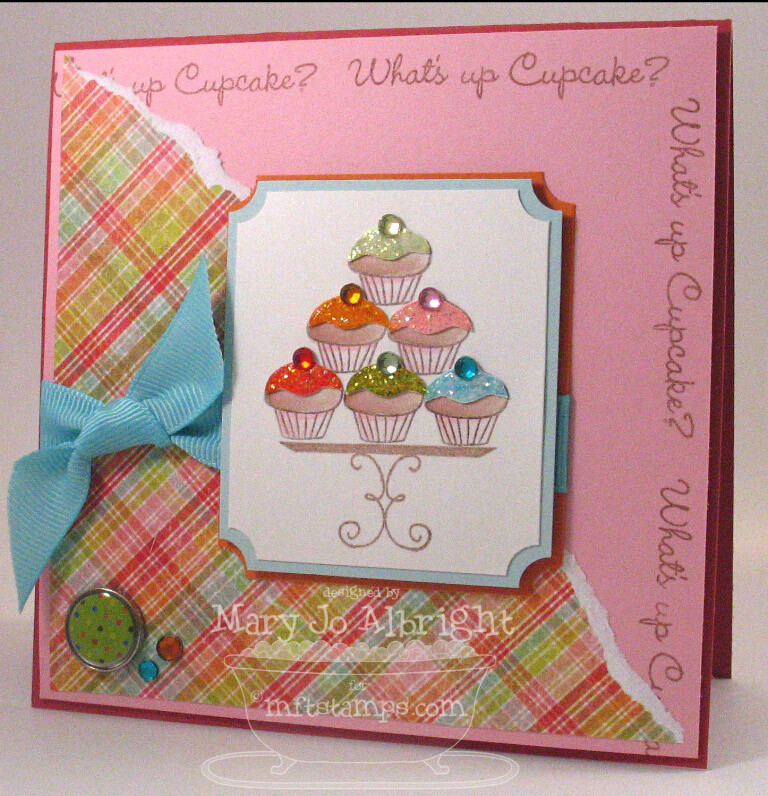 I love that cupcake stamp and will have to get one for myself after seeing this card! I love all of the little details you put into the cupcakes – their colored icing is adorable and the little rhinestones are just perfect. TFS!!! This is a great card! I don’t often tear my paper either, but both your and Taylor’s cards are awesome, and I hope to get a chance to try this today. very cute…can’t wait to play along too!! This is simply too cute for words. I looooove the cupcakes! Hey, tearing is liberating!! Wonderful card! I love the way you added the ribbon, the sentiment and the three circular doodads on the bottom left! very cute!!! I like the torn paper and I LOVE your ribbon treatment! This is SUCH a wonderful card! Nice work!!!! This is great! A winner in my book! Love those cupcakes!! So cute MJ! That looks like another must have from MFT! This is such a cute card! I love your brads in the corner and of course the cupcakes!!! Thanks for the super, extra sneek peek! 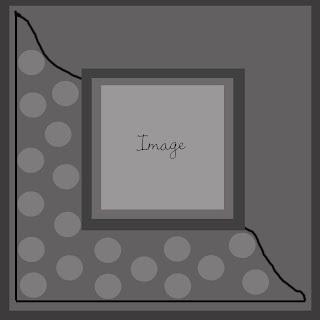 So cute Mary jo, LOVE the yummy images and fun design!!! Please tell Kim thank you! Pretty card! Love the image! oh – i just love this card!! and what cute cupcakes!!! Darling image–love the icing and bling!